Candidate Block A block of transactions from the memory pool. A candidate block is a temporary block created using transactions selected from the memory pool. Nodes (mining nodes) select transactions from their memory pool to form their own candidate blocks. Anyone who is mining can choose which transactions to include in their candidate block. 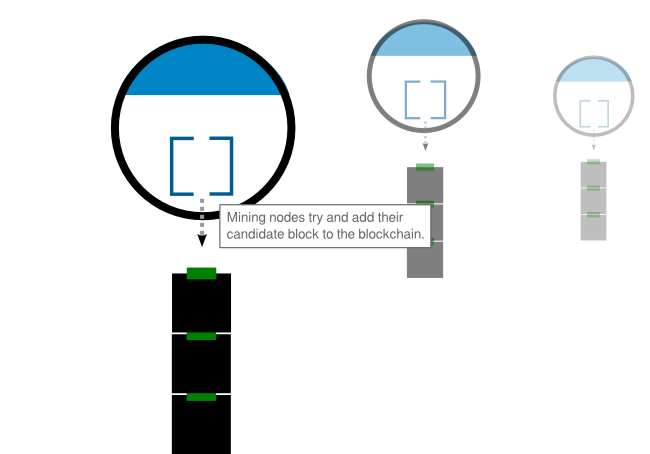 Each node then tries to add their candidate block to the blockchain through the process of mining. Every block starts life as a candidate block, but only the ones that are successfully mined get added to the blockchain.